Protecting wildlife and wild places. Be part of our conversation efforts at the Zoo! As a conservation resource that provides experiences that excite and inspire children and adults to learn and act on behalf of wildlife, the Central Florida Zoo & Botanical Gardens connects people with wildlife and raises awareness about the challenges many species face. There are many ways that Zoo guests, Annual Pass Holders, and donors can be part of the Zoo’s conservation efforts to protect threatened and endangered species. The Orianne Center for Indigo Conservation (OCIC) is a cutting edge conservation facility built specifically for the propagation of the Eastern Indigo Snake. In 2014, the Central Florida Zoological Society, Inc. partnered with The Orianne Society to operate the facility and currently maintains a colony of over 100 indigo snakes for the purpose of reproduction and reintroduction programs. Since opening the facility in east Lake County, the Center has aided in the release of eastern indigo snakes in the Conecuh National Forest in Alabama. The OCIC has also released eastern indigo snakes at The Nature Conservancy’s Apalachicola Bluffs and Ravines Preserve in the panhandle of Florida. These snakes were surgically implanted with radio transmitters by the Central Florida Zoo’s veterinary staff, for tracking and monitoring purposes. Over 180 striped newts were also released from the OCIC as part of a repatriation project taking place in the Munson Sandhills in the panhandle of Florida. The work taking place at the OCIC facilitates a comprehensive approach to long-term captive breeding programs for species of conservation importance and is the cornerstone of the Central Florida Zoo’s conservation efforts. When visiting the Zoo, guests are given the opportunity to “Round Up” to the nearest whole dollar to support animal conversation efforts at the Zoo. Those nickels, dimes, quarters and dollars sure do add up in support conservation initiatives for animal species that you can visit at the Zoo each day. Stop by and visit our Macaws and give your change to make a difference and help protect endangered habitats around the world. The Wishing Well has been a prominent part of the Zoo since 1981. The Wishing Well stands as a symbol of the Central Florida Zoo & Botanical Gardens’ commitment to improve our animal exhibits, educational experiences and visitor amenities. The Wishing Well offers guests a unique opportunity to make an investment that can touch the lives of so many people, as well as wildlife around the globe. The Central Florida Zoo & Botanical Gardens also partners with other organizations around the globe to shore up populations of endangered species that are represented by animals in our care. When visiting the Zoo, make sure to take part in our Keeper Chats so that you can find out more information on what we are doing, and more importantly what you can do, to help protect these threatened and endangered species. As an AZA accredited zoo, the Central Florida Zoo & Botanical Gardens participates in field conservation to help save animals in the wild. 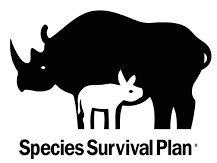 The AZA Species Survival Plan Program strives to manage and conserve a select and typically threatened or endangered, species, variety or breed, of plant or animal outside of its natural habitat in cooperation of AZA-accredited institutions. SSP Programs develop a Breeding and Transfer Plan that identifies population management goals and recommendations to ensure the sustainability of a healthy, genetically diverse, and demographically varied population.